Also known as the ‘bog star’, the Grass of Parnassus (Parnassia palustris) is the county flower of Cumbria and Sutherland. According to Plantlife’s website, its name can be traced back to ancient Greece, where the cattle on Mount Parnassus developed a taste for the plant, so it became an ‘honorary grass’. 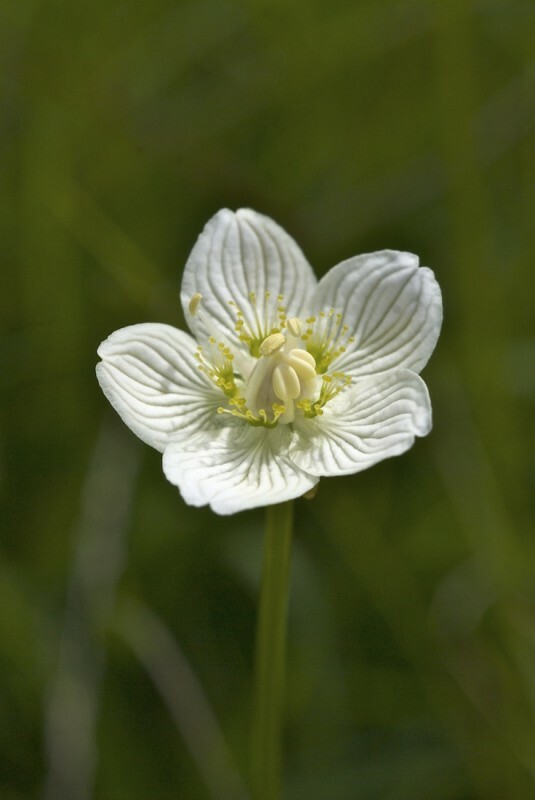 Occurring in arctic and alpine habitat, the Grass of Parnassus also likes moist woodlands, damp grasslands and bogs. Between July and September, almost perfectly globular buds open to reveal five-petalled white flowers on stalks of up to eight inches. 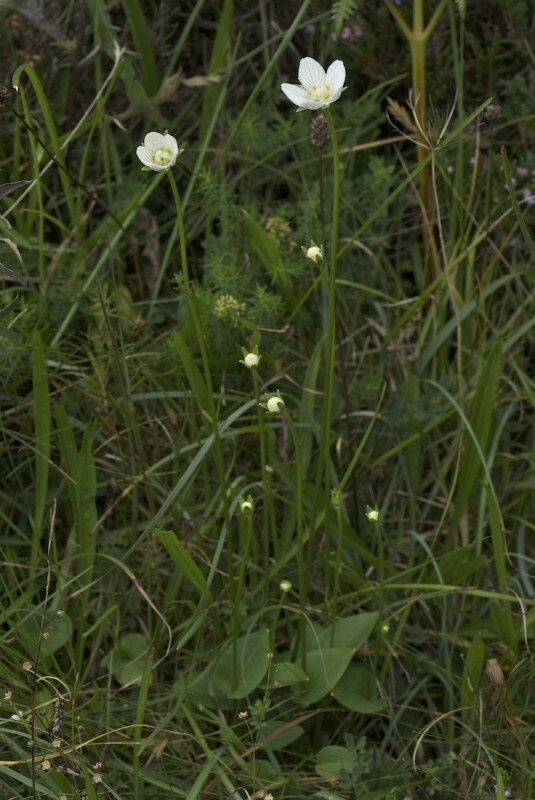 The Grass of Parnassus is a symbol of the clan MacLea; according to tradition this is because they were the favourite flowers of the early Irish missionary St Moluag, whose holy staff or crozier has been handed down through centuries of MacLea clan chiefs, and is currently in their possession on the Isle of Lismore.